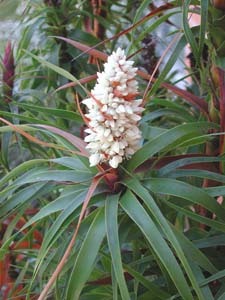 Richea dracophylla is an erect, well branched shrub or small tree that grows in wet forest in the south-east of Tasmania (notably Mt Wellington Range, Tasman Peninsula and Bruny Island). 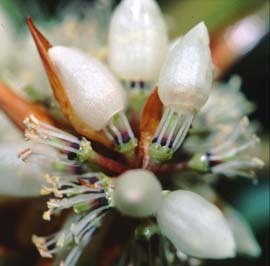 It has conspicuous erect inflorescences at the ends of the branches. The leaves are long (10 - 50 cm long).